The high mobile rate of nitrate and the potential for additional nitrogen movement in the form of gaseous ammonia released into the atmosphere threatens water and air quality. This concern draws attention to the need for methods and tools to evaluate nitrogen transport in agricultural areas. The goal of this study is to develop a framework to promptly characterize nitrogen and water dynamics in agricultural fields. This is accomplished through a distributed sensor network (DSN) system of robust site instrumentation that, when joined with physical sampling, can measure nitrate leaching below the root zone, plant nutrient uptake, and the nitrogen lost to the atmosphere through ammonia volatilization. By successfully calculating these fluxes of water and nitrogen, this control system can deliver the optimum amount of fertilizer to minimize leaching of nitrate and other losses of nitrogen, while maximizing yield and water use efficiency. The first stage of this project produced some variable results. A redesign was later implemented to increase efficiency. The Center for Irrigation Technology staff and Fresno State students are currently working on installing and implementing the updated system on the testing fields at Fresno State. 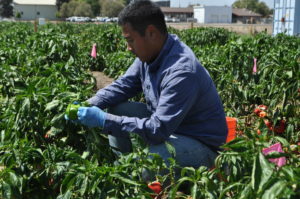 At least three specialty crops will be used during this stage of the project. 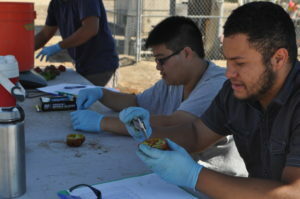 Fresno State students will work with researchers to collect data from the specialty crops to analyze for consistency and accuracy. Soil moisture sensor data will also be collected and compiled with nitrate readings. Flow and watering schedules will also be recorded to track water use and efficiency. 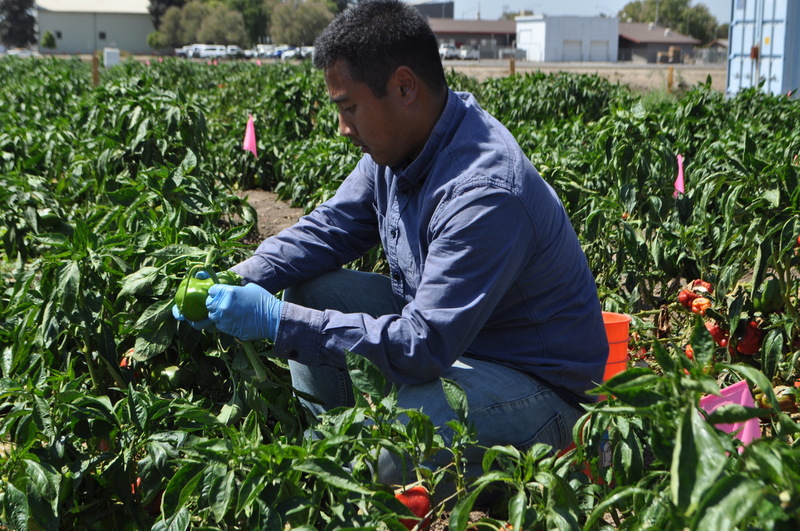 This study will be the initial step in developing a database that will be integrated into WATERRIGHT, an irrigation scheduli ng program developed by the Center for Irrigation Technology (CIT). This is vital to allowing growers the opportunity to manage their irrigation events as well as soil nutrient inputs to suit their crop of interest and field conditions.